Request access to the sources in the Rocrail Forum. Only the first time a clone must be made. After a server crash the backtrace is needed for analysing the problem. 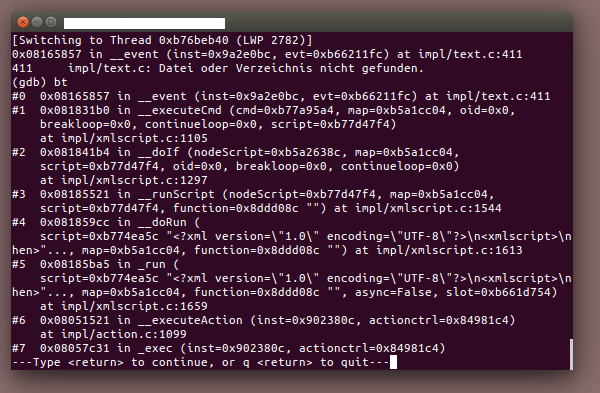 The GNU Debugger is still active, and with the bt command the backtrace will be listed in the terminal. Copy the complete terminal output in a text file and post it in the Forum.